The city manager of Ferguson, Mo., has resigned in the wake of a critical Justice Department report on the behavior of local police. 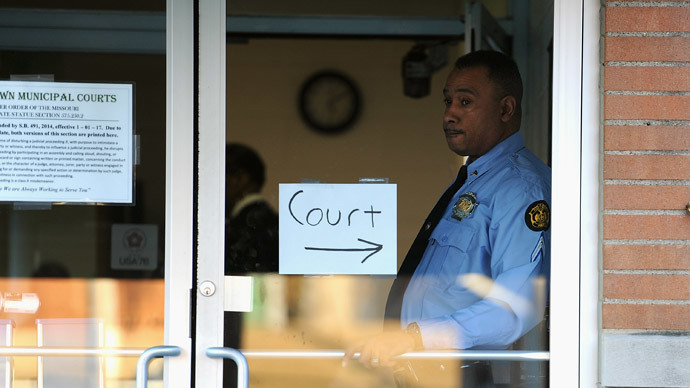 The city’s municipal court has also been canceled for a week, with all cases being transferred to a state judge. Ferguson City Manager John Shaw said he believes his resignation “is in the community’s best interest,”USA Todayreported. Shaw was blamed for behavior by law enforcement and the court system which the federal government found to be racially motivated and which primarily targeted African-Americans, according to The New York Times. In a 7-0 vote on Tuesday, the Ferguson City Council agreed to a mutual separation agreement. Richter won’t actually take over the city’s caseload until March 19, the St. Louis Post-Dispatch reported, but he will remain in place until the state Supreme Court reverses its decision. “The City of Ferguson Court staff is looking forward to working with Judge Richter, as it begins to regain the trust of the Ferguson Community,” Mayor Knowles said in a statement. “We understand there has been mistrust for some time, but the naming of Judge Richter will begin a new chapter for our Court." The previous municipal court judge, Ronald Brockmeyer, resigned among allegations of unjustly issuing aggressive fines against African-Americans. The report said the heavy fines were handed down unfairly and that Brockmeyer was using the court to generate revenue for Ferguson. A “strategy of revenue generation through policing has fostered practices in the two central parts of Ferguson’s law enforcement system – policing and the courts – that are themselves unconstitutional or that contribute to constitutional violations,” the report reads. Mayor Knowles also said Tuesday that the city will seek out a new “reform-minded” judge to lead its municipal court. However, it is unclear when a new appointee would take over Ferguson’s cases again, as the Missouri Supreme Court’s appointment of Richter had no expiration date. The Post-Dispatch asked court spokesperson Beth Riggert if its order was meant to last until a new judge was found, but she said she could not say when the order would be rescinded. "The Court's intention was expressed in its order, which, as you note, is in effect until further order of the Court,” Riggert said. “I have no way to predict when or under what circumstances that might occur."